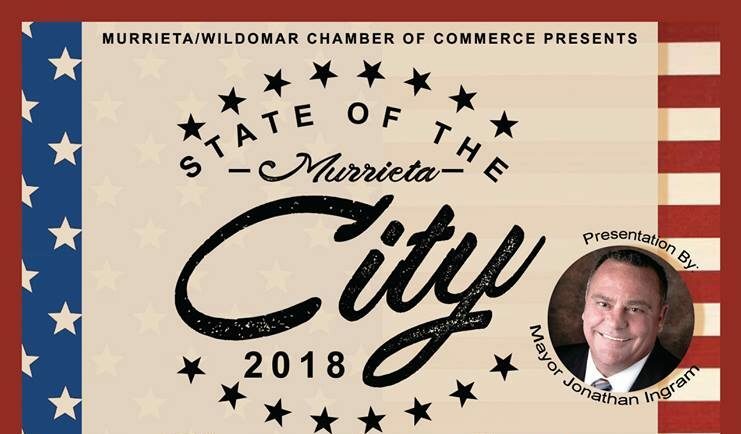 On Tuesday, July 24 the Murrieta/Wildomar Chamber of Commerce hosted the State of the City 2018. Each year the city of Murrieta comes together to reflect on the city’s progress and its plans for the coming year. Our Renaissance Village Murrieta project was one of the event’s sponsors. We’re proud to share that Mayor Jonathan Ingram recognized Renaissance Village Murrieta. Additionally, he also commended them for their contributions to the local community. The evening began with a brief time of thanks to all those in attendance by Mayor Ingram. He then introduced a video format of the State of the City 2018. The video focused on the city’s strong community and thriving entrepreneurial focus. Additionally, the city’s medical innovations, public safety, and more were also showcased in the video. Upon the video’s end, Mayor Ingram answered a few questions about the city’s plans for the year. He also recognized Renaissance Village Murrieta’s contributions to the local senior community. Renaissance Village Murrieta and Continental Regional Center are proud to receive this recognition from the community and Mayor Ingram. As proud members of this community, we are eager to see all that’s to come in Murrieta and the city’s bright future.